The canals of Burano, a short boat ride from Venice. All photos by Alpana Deshmukh. 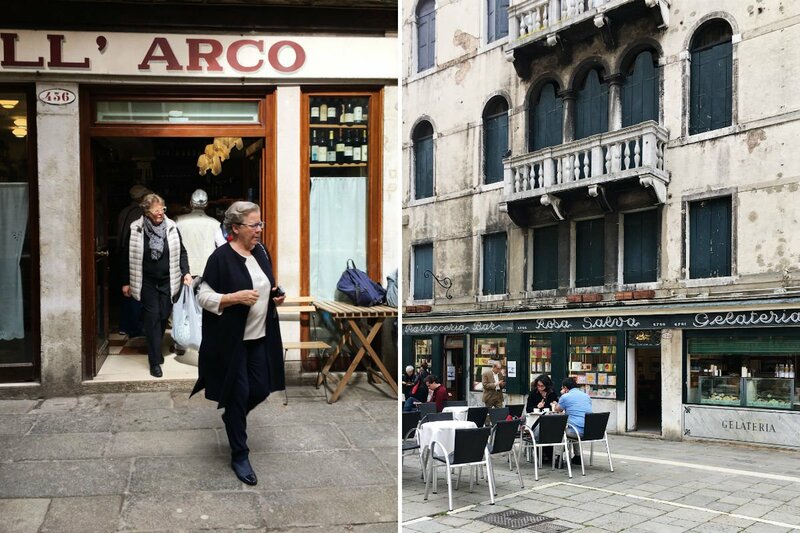 During Fathom contributor Alpana Deshmukh's charming food tour of Venice, she snacked on artisanal ice cream, visited the city’s vibrant food markets, and spent the night at an inn serving hyper-local meals. VENICE, Italy — Venice is one of those cities that’s so familiar to us from films, paintings, and photographs. Yet as someone who has been fortunate to spend time in this city on and off over the years, let me tell you, it never fails to charm. There are always new spots to discover, quiet corners to relish, and favorite sestiere to treasure. Here are a few highlights from my recent stay in La Serenissima with tips on enjoying the city as a local. And by the way, as someone who travels for the food and is always on the lookout for the next snack, these are mostly about eating and drinking. You too? Benissimo. Let’s be amici. Food, glorious food. 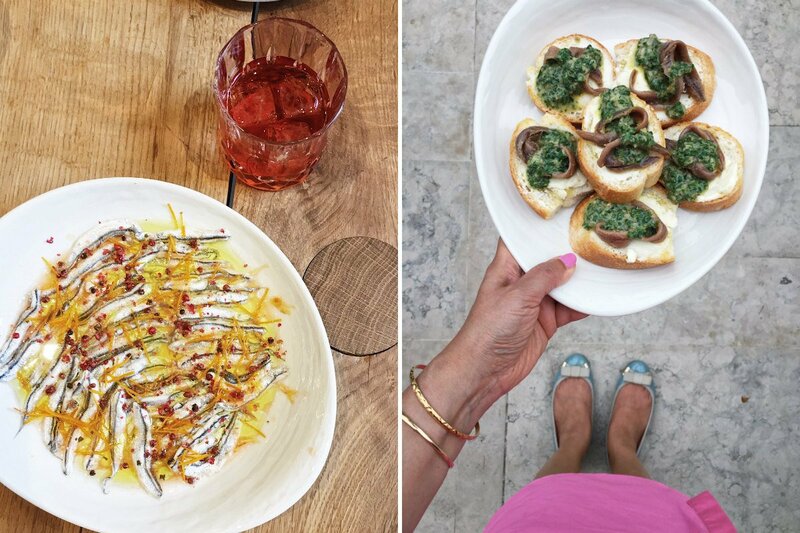 I was in Venice for the inaugural Venice Food and Wine Festival, a three day affair at JW Marriott Venice with world-renowned chefs, cooking demos, wine tastings, and plenty of Aperol spritz cocktails on hand. Highlights included an entertaining risotto demo by chef Scott Conant, an inspiring farm to table talk by chef Melissa Kelly, and a super fun Venetian aperitivo and cichetti cooking session with James Beard award-winning chef Missy Robins. 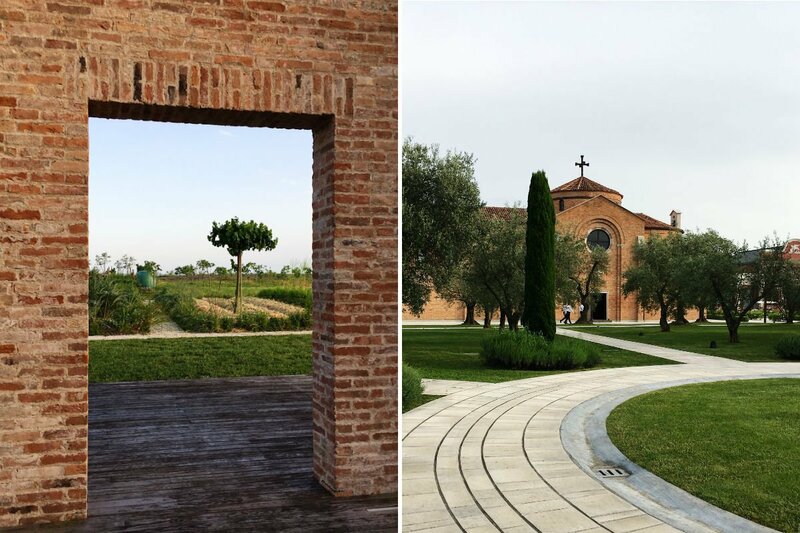 One of the most captivating aspects of JW Marriott Venice are the extensive gardens. I adored the olive grove from which the hotel makes its own olive oil. There’s a most charming kitchen garden next to the Michelin-starred Dopolavoro restaurant, embracing the farm-to-table concept. During my visit, I spotted artichokes, fennel, and a variety of herbs and trees laden with soon to be ripened apricots. I love spending a morning browsing seasonal displays of regional produce and marveling at varieties of fish and seafood in the fish market. It’s becoming a popular destination for visitors yet it still offers a slice of local life — it’s fun to watch the Venetians shopping for their lunch and chatting about provenance. After your visit to the Mercati di Rialto, you’ll be hungry. 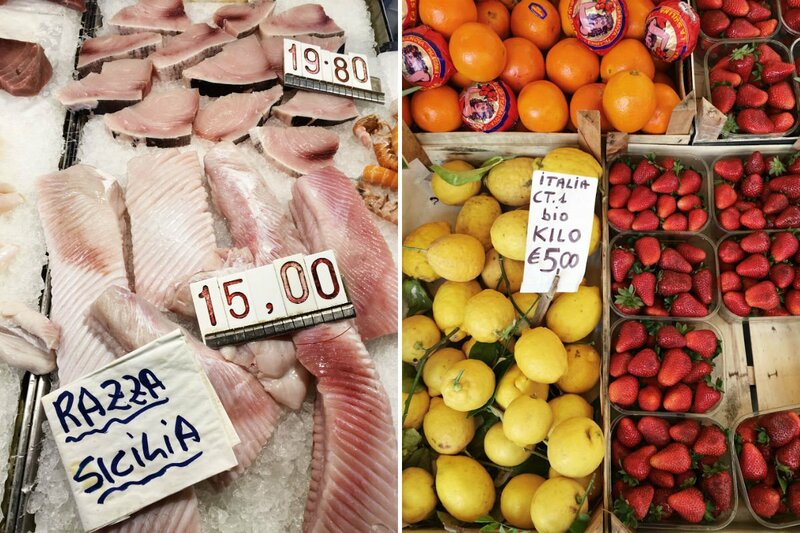 For a bite to eat, head over to All’Arco, a family-run spot where you’ll probably bump into a couple of fishermen and shoppers from the market – and maybe a chef or two – it’s an insider favorite. Order a prosecco and a selection of cicchetti – I’m fond of the baccala mantecato. Pasticceria Rosa Salva is a classic bakery and pastry shop that serves artisanal ice cream. The branch in Castello is quieter, so grab a table and order a cappuccino and a selection of local biscuits, or try the tramezzini, typical Venetian soft bread sandwiches presented in triangles. 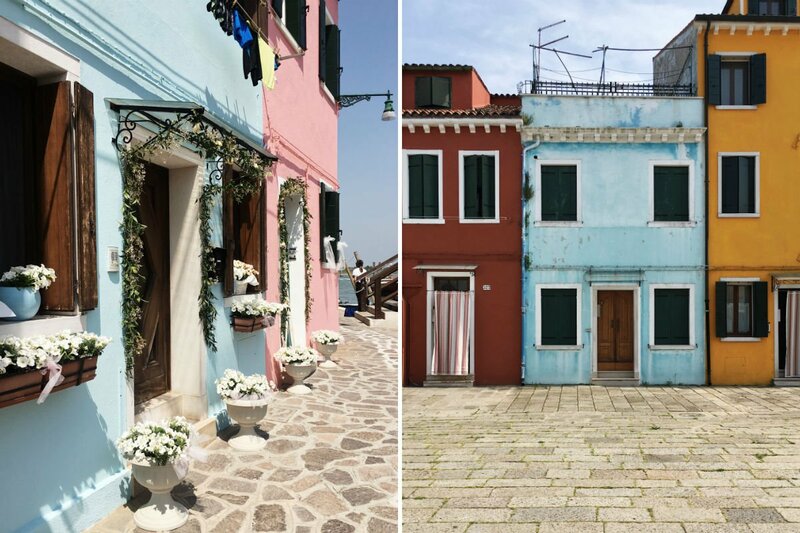 Hop on a vaporetto (water bus) and head north in the Venetian lagoon for a day trip to the islands of Mazzorbo and Burano. 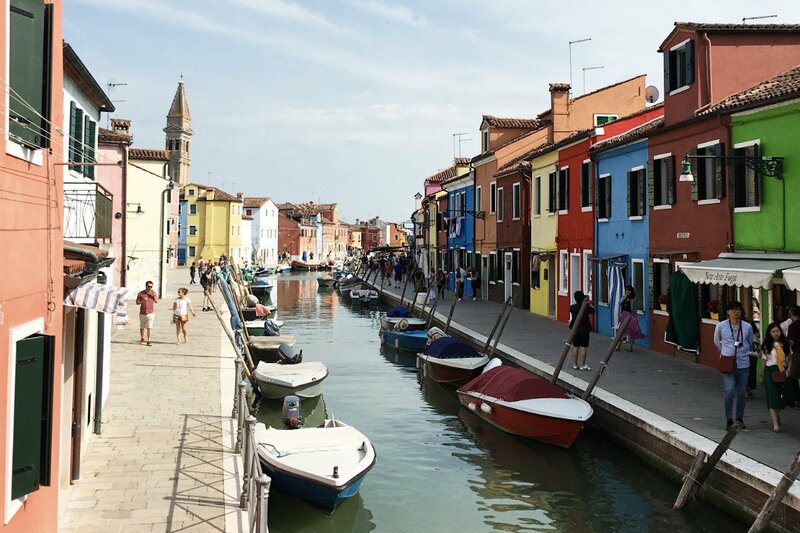 Burano is notable for its pastel-colored houses, fishing boats, and narrow canals. Hands up if you’d like lunch with a view of a vineyard. 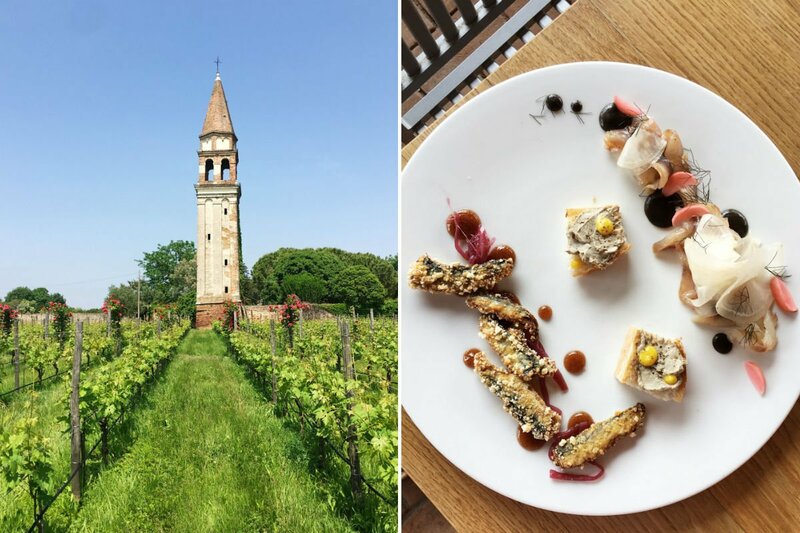 After a stroll around Burano, cross over the wooden bridge to the neighboring island of Mazzorbo for lunch at the walled wine estate of Venissa. Dine in either the Michelin-starred restaurant or the informal Osteria, which serves a contemporary reinterpretation of traditional Venetian dishes. The focus is on seasonal ingredients and fish from the lagoon; vegetables are from the kitchen garden. Let the expert team guide you around the wine list, they’ll help you discover the best examples of local grapes and vineyards. For a hyper-local lodging experience, look no further than a stay at Casa Burano, run by the team at Venissa. It’s an example of the albergo diffuso, a hospitality concept which revives small historic places and encourages visitors to be a part of the community. 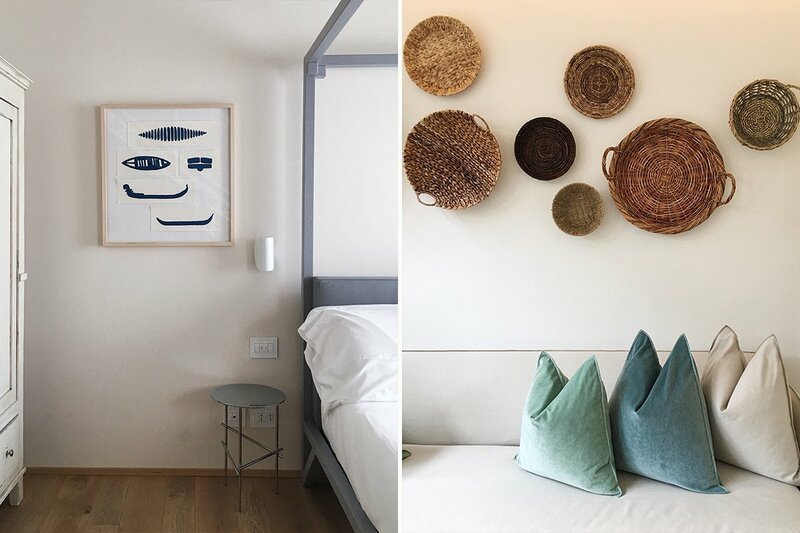 The private accommodation is in five refurbished houses scattered around the island; each one is individually decorated by Italian design firms and local artisans. I loved the chic contemporary look and playful touches that reflect the character of Burano — colorful furnishings, tiled floors, and framed paintings of the local rowing boats. If you fancy a ride on a bragozzo (a brightly painted fishing boat) while sipping an aperitivo, it can be arranged.